It happens constantly. A friend sends me a link and says I have to read this. I’m on Facebook for business but see a link that looks really interesting so I open it in a new tab to read later. In the middle of a Twitter chat someone mentions a fabulous post and I know if I don’t open it now I’ll never remember to read it later. Soon I have fifteen tabs open in my browser, all with the intention of reading them when time permits, but time in front of the computer never does provide me with extra for leisure reading. And the tabs only multiply and my husband wants to know why the computer is running so slowly and do I really need all those tabs open? Enter a read it later app. One right click and the link is saved to read later–I don’t even have to open it! Or if I stumble upon a post and find that it’s really good but extra long, I can right click the page and save it to read later. And days later when I’m at work with no customers and some extra reading time on my hands, the posts are downloaded onto my tablet and ready for offline reading, thanks to my read it later app. The first read it later app I tried was “Pocket” (originally called “Read It Later”), after hearing about it from Buffer, Amy Lynn Andrews, and on Michael Hyatt’s blog. But when I sent a friend yet another post for her to read when she had time, she mentioned that she used “Readability”, and I figured maybe I better check it out, too. Soon I was trying out all the top “read it later” apps just to satisfy myself that I’d chosen the best one. Here is a run-down on those I tried. I’ll be curious to hear which is your favorite! Readability focuses most on clear, undistracted reading. It is beautiful in its simplicity. Lovely typography makes the reading experience both delightful and professional. And you don’t have to save something for later to experience Readability–you can turn any page into a simplified, easy-to-read page that is clear of distractions right then and there (much like Evernote’s “Clearly” app). I don’t have a working Kindle (I use the Kindle app on my iPad), but Readability’s primary features are apparently geared towards sending items to your Kindle for reading there. For the avid Kindle user, Readability is the easy choice. Pocket is pretty. It uses pictures and tiles that make it feel more like a Pinterest experience. The iPad app icon even shows the number of new posts waiting in your “pocket.” But the beauty of Pocket for me is in the sharing features–I can share any post I kept in my Pocket through any of the sharing features on my tablet and iPad, including Buffer. And, I can send items straight to Pocket right from Feedly. The simplicity and typography of Readability might have won me over if it hadn’t been for Pocket’s integrated features of Feedly and Buffer. Instapaper turned me off instantly because its apps weren’t free. If I could have tried it for free, I might have temporarily overlooked the ugly and outdated website and lack of an official Chrome extension. But as it was, I didn’t give Instapaper more than an instant of my time (puns intended) — even though it integrates with Feedly. 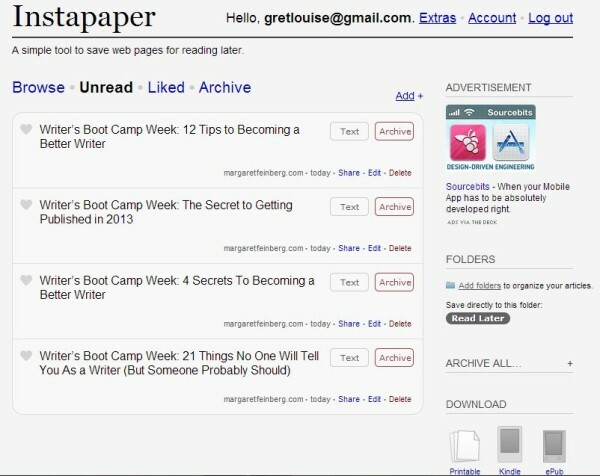 The Evernote Web Clipper can send an entire page or post, or just some selected text, to whatever Evernote notebook you choose. 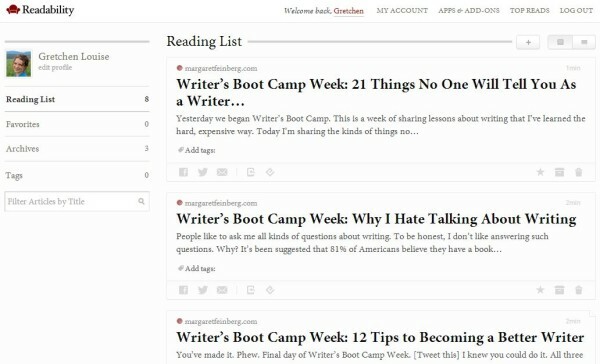 Evernote, too, integrates with Feedly. I use Evernote more as a database of information I will want to reference in the future, so to clutter my Evernote inbox with posts which I may in all likelihood never get read later would only clutter my computer further. Nor are Evernote notes available for offline reading unless you have the premium version. 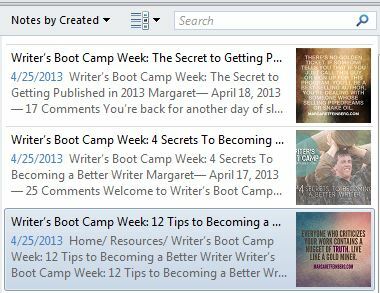 But for avid Evernote users, the Evernote Web Clipper might be the smart choice for reading posts later. Feedly (my new favorite feed reader) features a “save for later” option–both within the Feedly reader, as well as on every page with the handy Feedly browser extension. But when I have time to read, I don’t usually have an internet connection; I need a read it later app that downloads my posts for offline reading. For the user with a smart phone or tablet that’s always connected to the internet, Feedly might be the only app they need to read blog posts now–and later. 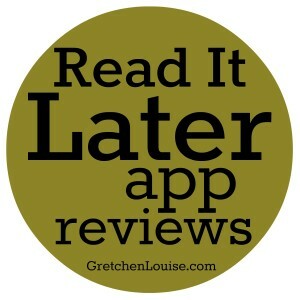 Have you ever tried a “Read It Later” App? Which one is your favorite? In my drive to make use of Evernote, I started using the Web Clipper–almost unknowingly, because when I go to save a link it says “bookmark”… so I assumed that’s what it WAS. It turns out they are basically just screenshots of what was on each page. Not helpful when I want to read an entire article and only get half, and no link back to it. 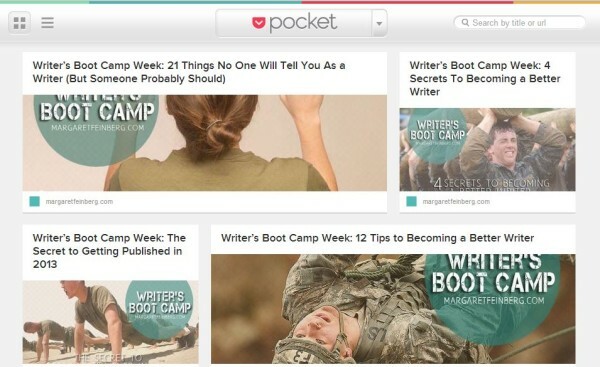 I will check out Pocket, and also try out Feedly’s Save feature. I have seen that but hadn’t used it yet. Thanks Gretchen! I think you’ll like Pocket! I’ve been able to save entire web pages to Evernote using the Web Clipper (there’s an option for Article, Simplified Article, or Full Page) but I only use it when I need record of a site, not for read it later purposes. I smiled wide when I saw your rationale for checking out the “read it later apps”. It was nice to know that someone else thinks like me. I would definitely have been on my way to look at them all…just to make sure. Nice to “meet” you. I look forward to browing around your site and learning more from you. You’re so welcome, Chrystal! Which one did you choose? 🙂 Thanks so much for commenting! I have Feedly working right now. But thanks to you I’m trying out the “Save for Later” feature. I’m also gonna try out Pocket. Thanks again!